As you enter Pascual LeDoux Academy on any given weekday morning, you might hear the familiar sounds of what sounds like morning announcements as little ones scamper down the school’s hallways. On a recent morning, those sounds were actually the voice of Dana Berge, who happily ran down a list of students being designated “Super CUBS” — nominated by their classmates for exemplifying kind and courteous behavior. A native of Denver who grew up with three brothers, Dana attended East High School and is a graduate of Metro State University. During those years she played basketball for both schools and still likes to get out on the court from time to time, which probably helps in her efforts to keep pace with her energetic students, as well as juggle all the responsibilities of teaching. Still, Dana wouldn’t choose a different profession under any conditions: “I love spending my days with authentic, entertaining and sweet little ones,” she said. 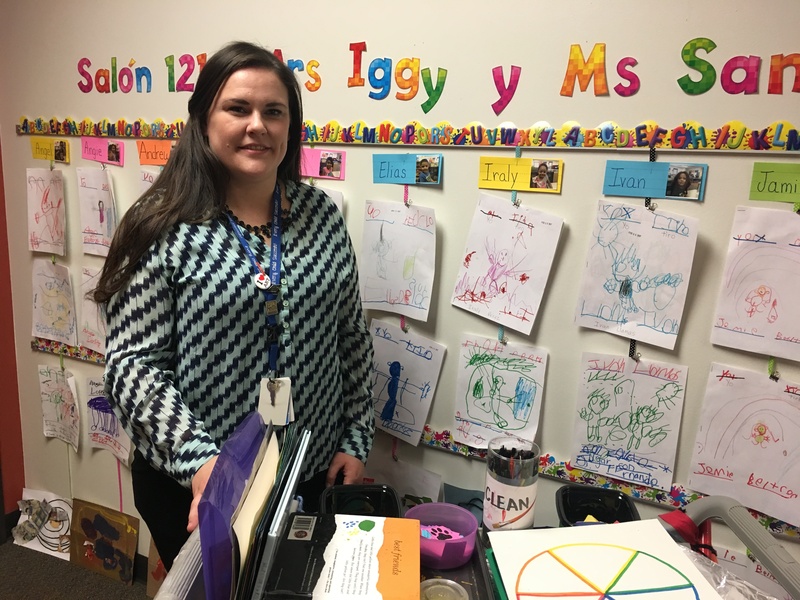 As a migratory ECE/Art teacher at Pascual, Dana navigates between seven different classrooms each day, adjusting to individual class environments as she goes. It’s a wonderful way to impact many different students, but she admitted it does have its limitations. Like nearly everyone in the profession, Dana laments the low salaries, long hours, and other challenges teachers face – in addition to the lack of resources. She acknowledges that she takes a second job each summer to help make ends meet, and she’s hopeful for the day that her profession receives its due. It’s one of the reasons she said joined DCTA and remains a strong supporter.